At Basement Systems, our experts have access to more than 50 basement and crawl space products, available exclusively to authorized Basement Systems Dealers. These products are provided and installed by our network of more than 300 dealerships, who serve throughout Canada, the United States, and the United Kingdom. 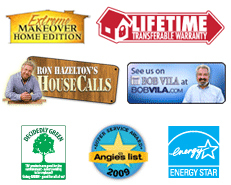 For a free, no-obligation quote for a custom-designed system for your home, contact us by phone or e-mail today! Basement Systems dealers can repair leaking wall cracks when no structural issue is present, and can also repair sinking, sagging crawl spaces. For structural repairs to a foundation, a dealer from Supportworks, Inc. can provide you with a recommended solution. Many Basement Systems dealers are also members of the Supportworks network. Sign Up For A Free Quote For Your Basement, Foundation, Or Crawl Space! We have the products, training, and professional experience you need to solve any issue you may have with your below-grade space! Our warrantied products can create a customized solution that will add value, functionality, and stability to your home. We'd like to put you in touch with the appropriate Certified Dealer operating in your area. Your local dealer can provide you with a free written quote for a system that's customized to address the unique needs of your home. As a courtesy, we'll also send along a copy of one of our full-color books: Dry Basement Science, Crawl Space Science, and/or Foundation Repair Science. These books are powerful research tools, providing you with everything you need to know about repairing your home permanently, as well as details and photos of our products and services. Don't wait to upgrade to a healthier, more valuable home! Contact us by phone or e-mail today!